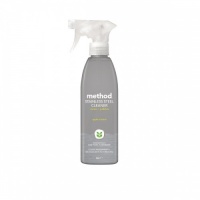 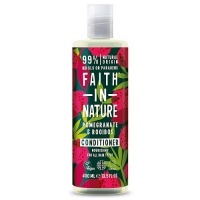 Delicately scented with refreshing essential oils - 95% of the ingredients are from natural origin for gentle cleaning. 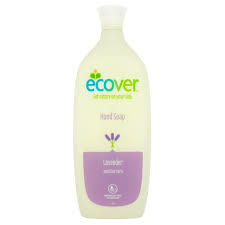 It's called soap because it gently cleans, but in actual fact Ecover Hand Soap is made from 95% natural ingredients and completely soap free giving simply silky-smooth, hydrated hands. 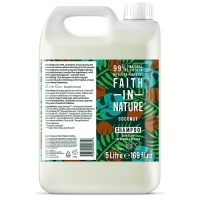 Water, Fatty Alcohol Sulfate C10-16, Alkyl Poly Glycoside C10-16, Sodium chloride, Alkyl Poly Glycoside C8-14, Cocoyl-Glutamate, Perfume, Glycol Distearate, Citric Acid, Aloë Barbadensis Extract, Linalool, Limonene, Citronellol, 2-bromo-2-nitropropane-1,3-diol.